Top Rated LSAT Prep Tutors in Los Angeles, CA! Welcome to Los Angeles’s top-rated private LSAT prep in-home tutoring service! All of the following Los Angeles LSAT prep tutors are certified by Varsity Tutors, the leading tutoring agency in the country! 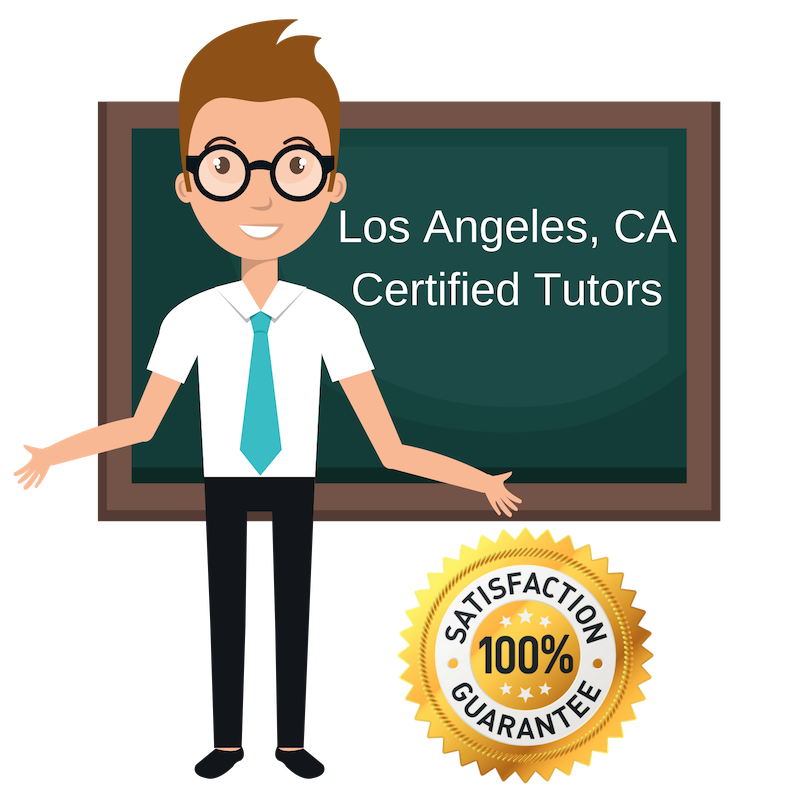 All Los Angeles LSAT prep tutors have been background checked, been interviewed, had mock LSAT prep tutoring sessions, and been trained by professionals. We guarantee you will love your local Los Angeles LSAT prep tutor or your money back! Get information regarding a top-rated LSAT prep tutor today! My diverse educational background ranging from journalism to the sciences has allowed me to appreciate testing and it is for this reason that I want to help students in the Los Angeles area with their LSAT prep. While I do love and value education and its advantageous in being able to contribute and understand so much about our world, I also realize that free time is important so I plan on teaching my students in a way that best fits them and their daily schedules. I am a graduate of New York University. I received my Bachelor of Arts in Philosophy. I had my first teaching experience as a one-on-one reading teacher during a break from college. Upon graduation I moved to New Orleans to teach Middle School Math and Science in low-income communities as an AmeriCorps member. I am currently offering my tutoring services in Los Angeles with a focus on LSAT prep. I look forward to assisting you with my breadth of subject area experience and 22 years as a classroom teacher. I hold a Bachelors degree in English from the University of Oregon, and a Masters degree in Education and Secondary Language Arts from Southern Oregon University. I bring joy and humor to our lessons, while challenging and raising my students’ level of expectation as well. I encourage character, integrity, and working for what we want in this life. I am licensed in Oregon in Secondary Language Arts, Spanish, and English as a Second Language all levels. I have taught high school English all years, AP Composition, AP Literature, Study Skills, Acting, Theater Production, AP Spanish and ESL grades 9-12 and elementary. I have also had the joy of teaching tennis, cross-country running, volleyball, and racquetball. I teach adult Spanish and Hebrew classes in my local community. I also enjoy all things musical, artistic, photographic, poetic, and having to do with resourceful and healthful living. I am an experienced horsewoman, gardener and homesteader, and a non-current private pilot, single-engine land. I am currently working in Equine therapy, completing certification as a Therapeutic Riding Instructor and Equine Specialist in Mental Health and Learning, and retiring from my traditional classroom to pursue these new directions. I have a heart for helping students find their personal keys to unlock the desire and ability to learn. It doesn’t have to be unpleasant or done a certain way to be beneficial. I truly believe learning is an adventure, one that I’ve been on for over half a century. My extensive experience has led me to tutor for LSAT, and I look forward to meeting Los Angeles clients. Academics have always been a passion for me. I graduated from the University of Chicago with a BA in History with Honors in 2015, and plan to go to back to school in the fall. I have spent the majority of my life so far engaged in rigorous academic environments, and am grateful for all the new perspectives and critical thinking skills I have gained through that background. However, I also understand the pressure and anxiety that occur on the path towards academic achievement. Standardized tests and GPAs are important, whether we want them to be or not. I have firsthand experience studying for the SAT and LSAT, and scary as they are, I know that those tests are learnable. My teaching style is laid back and collaborative. My goal is to meet students where they are, and work together to break down material into its most basic parts. By breaking down the material together, we can see where the student’s strengths lie, and which areas are causing trouble. Aside from teaching, I enjoy visual arts, volunteering, and biking. I am excited to work with students to meet their academic goals, and to recognize the personal gains they make along the way. Come and join me for LSAT prep in the Los Angeles area! Hello! I am a tutor that holds a Bachelor of Philosophy in Philosophy from California State University Los Angeles and a Juris Doctor in Legal Studies from the University of California Hastings College of Law. I have taught and tutored both children and adults in a variety of settings. I have experience teaching one-on-one as well as managing large classrooms. While I have positive experiences teaching children in kindergarten, I also have taught students at the college level and adults in correctional facilities. Math, English Language Arts, philosophy, and law are some of the areas in which I have taught, and I also offer LSAT help in the Los Angeles area. In my free time, I enjoy painting portraits and hiking, and like many, I absolutely love dogs. I look forward to meeting new students!